The White’s MXT is a metal detector that has been around for many years. It’s multi-purpose metal detector which can detect relic, coin and gold nuggets, as long as they are of decent size. This detector is not as sensitive to small gold compared to other gold-specific detectors such as the Gold Bug Pro or Makro Gold Racer, but it can still be a good choice for prospectors who want a detector that will also work well for finding coins and relics as well. The MXT has also been proven to be an excellent detector for finding gold nuggets in very trashy areas using the discrimination settings. At one end, the Whites MXT has a control box which has two switches on each side. The right switch is for automatic ground balance which allows the machine to be in a tune with the ground. It must be switched on in ground position so that it can easily adjust itself with the ground. This is a good choice for ground with lots of variability. If it’s over a milder ground then it can moved to the lock position which locks it in place but it won’t automatically ground balance anymore, so you will need to manually ground balance frequently. The left side of the control box contains a threshold which is a volume switch. Turn it all the way down until you can’t hear anything and then turn it back up until you hear the faintest noise. Run the MXT with just a quite but constant threshold. On top of the threshold is the dual control which discriminates out the different metals from each other. The more the dual control is turned clockwise, the more trash the user is rejecting. If it’s turned all the way down to the minimum, the detector will pick up iron, tin foil, coins, jewelry etc. It’s mostly recommended not to go too high with the dual control otherwise gold will be discriminated out. The gain is used so that you can balance the coils sensitivity and how deep the detector goes. The switch on the top left side is the mode toggle which allows the user to set the operating mode to coins and jewelry, prospecting etc. When the MXT is in use, the threshold noise should remain solid and consistent (especially when nugget hunting.) The display contains a Visual Discriminator Indicator. Generally speaking, the higher the scale goes up in terms of conductivity, the higher the VDI number will be. The MXT should be in motion while searching and while in motion. When it detector detects something good, the noise will be loud, solid and consistent. 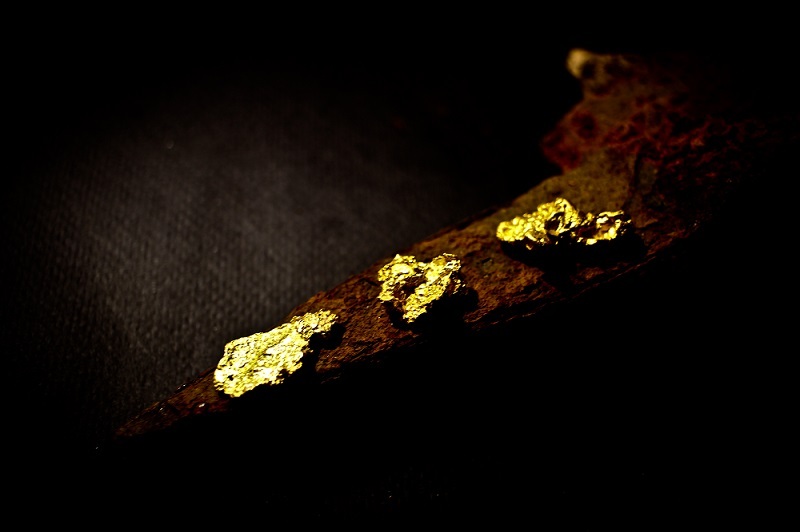 However, it is important to realize that small or deep gold nugget will often have just a minor effect on the threshold, so attention should be given to these smaller targets as well. For gold nugget hunting, it is recommended to use the Prospecting Mode which will be the most sensitive to small gold. Most gold hunters also get an aftermarket DD coil. The most popular is the 4” x 6” DD coil. It is the most sensitive to small gold nuggets and its small size makes it easy to use in the bedrock. For general nugget hunting, the Prospecting Mode is definitely recommended, however, there are times when you can use the Relic Mode and successfully find gold. This works particularly well in very trashy locations where the amount of iron trash it too much to deal with. In these locations, you can set the discrimination to where you will get a low tone “grunt” on iron rubbish while getting a higher tone on gold and other good targets. When using the MXT in Relic Mode, sensitivity is very much reduced compared to the Prospecting Mode. You will miss smaller gold in Relic Mode, but in very trashy locations that have decent sized gold nuggets it may be a good option. Many gold prospectors keep a White’s MXT in their arsenal specifically to use in trashy locations.